£50 returnable bond after your holiday has ended and no breakages or excess dirt/mess. 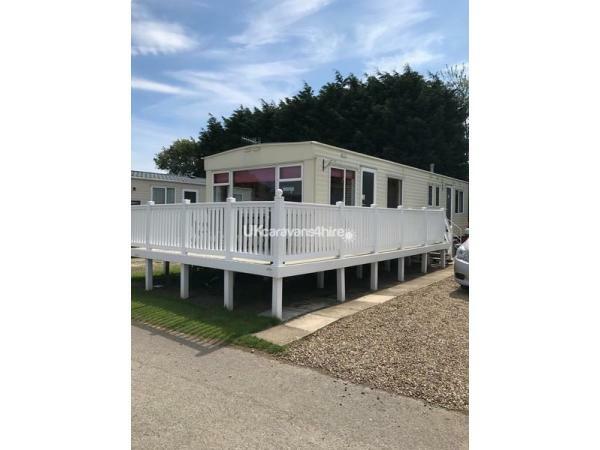 This is our lovely 2010, family owned caravan on Primrose Valley that sleeps up to 8 people. It is situated just a 5 minute walk from the main complex, convenience store, beach and parks, in the highly sought after area of Rose Bank. It sleeps 6/8 comfortably in 3 bedrooms, one double and two twin, plus a pull-out double bed in the living area. 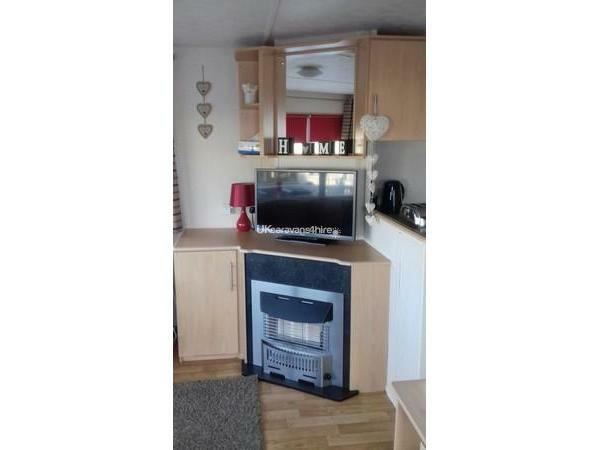 Our caravan has integrated electric heating to all bedrooms. Bedding will be provided on your stay. The living room has a flat screen TV with Freeview channels, along with a few books. 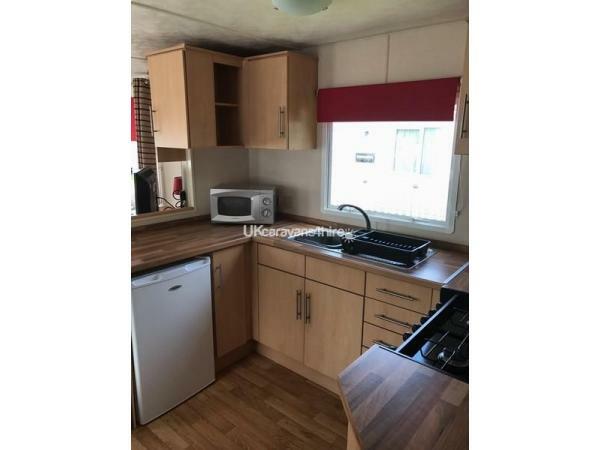 The fitted kitchen has ample worktops and cupboards, a built-in gas oven, grill and hob, fridge freezer, microwave, toaster, kettle and 6 seater dining area. Full crockery, cutlery, kitchen and dining essentials are provided, along with a hand held vacuum cleaner. The family bathroom has a shower, toilet and hand basin. There is also a second toilet with wash basin. 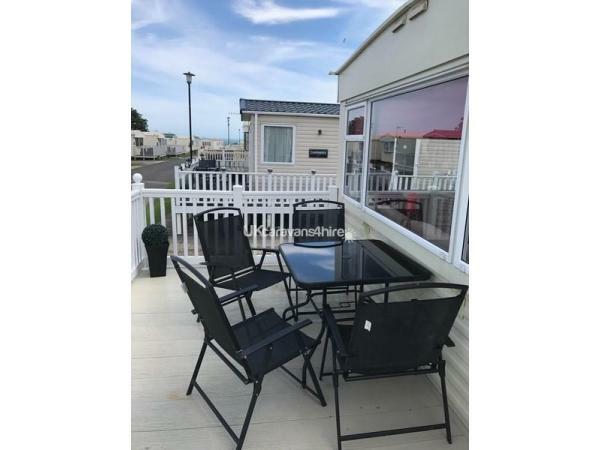 The caravan has a lovely veranda with table and 6 chairs; great for relaxing in the sun. For your peace of mind there is a fire extinguisher, carbon monoxide detector and smoke alarm fitted. Gas and electric is included in the price of your holiday, as is your bedding and bed linen. You will need to bring your own towels and tea towels - and don't forget the toilet roll!! 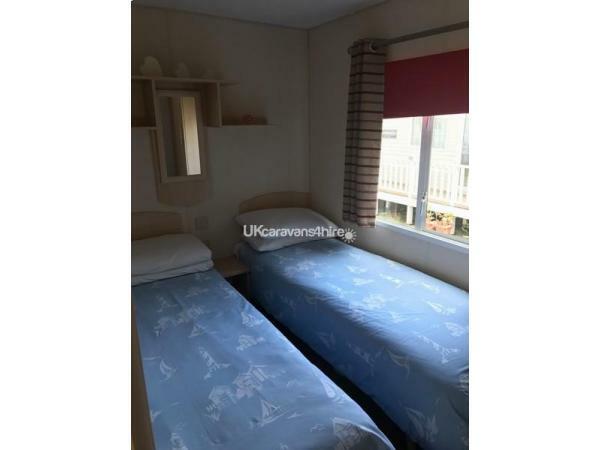 Our caravan is new to us this year and we ask that you treat it with as much care as we do, as we are trying to keep it in excellent condition so everyone can enjoy their stay. This is a strictly a no smoking caravan. Well behaved dogs are allowed, but we ask you to be considerate of our caravan. Hen and stag dos not allowed as per haven rules. A £100 non-refundable deposit is required to secure your dates within 7 days of your booking enquiry. The balance, along with a £50 refundable bond, will be required 6 weeks before your holiday. Passes are not included in the prices but they can be purchased from Haven. A 7 day pass is £39 per adult and £20 per child - under 4s are free. We do find that not everyone requires passes as the beach is so close and Filey is within walking distance, but they are available if you want them for swimming and the club for the great shows and party dances for the kids. We arrived for a 4 day break, and the caravan was ready for us, we are a family of 5 and the caravan was perfect for us! 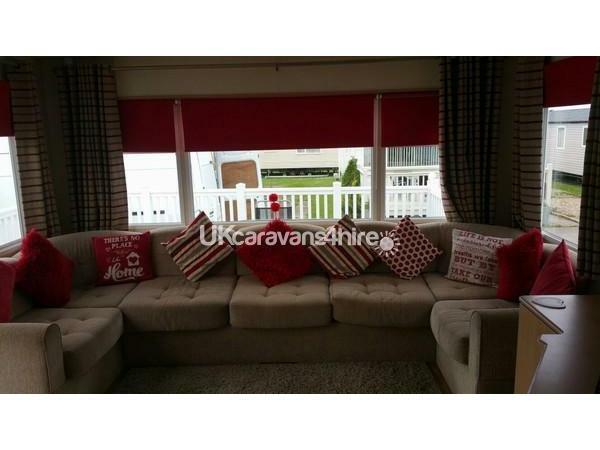 The caravan is situated in a fabulous plot, set back so it’s peaceful with a beautiful view. A lovely stroll takes you to the entertainment/fairground and activities and the beach. We loved the caravan and will definitely return. Rachel was amazing, perfect communication, and the whole break went smoothly. 100% recommend Rachel and her amazing caravan. Looking forward to going back. Had such a lovely time in your beautiful caravan. Situated in a lovely quiet part of the park but in short walking distance from all aminites .Would definitely book with you again and recommend to friends and family .Thankyou Rachel for all you help . We had a fabulous few days at Rachel’s beautiful Caravan on Rosebank. Everywhere was exceptionally clean and tidy on arrival. It was like home from home with an added bonus of tea and coffee just what’s needed after a long journey. The beds were made up and ready to fall into after a good time at Funworks. Lots to do and see. Would recommend this caravan to anyone looking for a great holiday. Rachel is very helpful and quick to answer any enquiries. I will certainly be booking with her again. 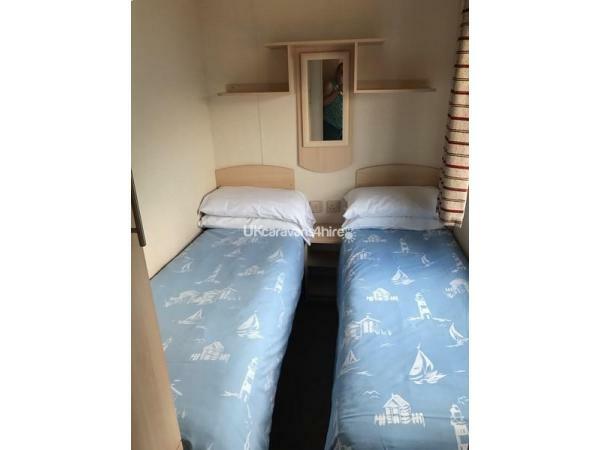 The caravan is situated on a fantastic quite place but not too far from the entertainment. Had a lovely week. The bed sheets where immaculate but the caravan lacked tlc numerous cleanliness problems on arrival in which we had to do ourselfs. This is the 2nd time we have stayed in this caravan . We've loved every minute of it, both times . Great location, nice and quiet, but within short walking distance to all amenities. Well equipped and comfortable and clean . Everything you need for a great holiday . Would just like to thank you for letting us stay at your caravan! We really enjoyed our stay! Very clean with everything you need! Was nice to sit out on the decking as the weather was beaut and having a gate on was good too as our dog was allowed to roam about. Having 2 car parking spaces was a bonus too! Would definitely stay again! Lovely clean caravan in a quiet part of the park, the driveway is big enough for 2 cars. The weather was brilliant great sitting on the veranda very relaxing weeks holiday. Great park plenty to keep the kids occupied 5 mins walk from all amenities. The entertainment was excellent and outside facilities very good such as parks and boating lake the kids had a wonderful time. I would recommend this caravan and the park and I will be returning. 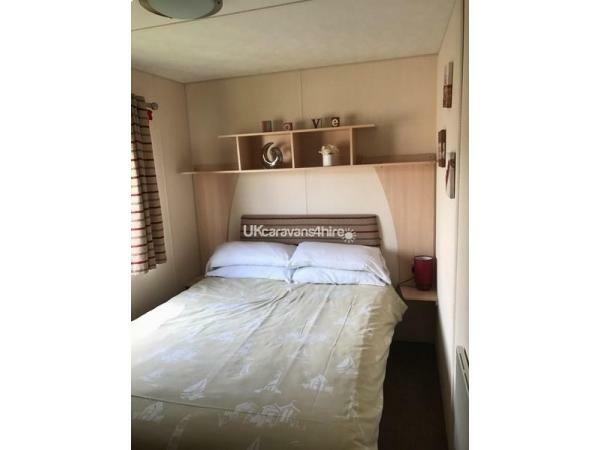 A lovely caravan, very clean and roomy. In a very quiet part of the park and unlike other parks you can not hear the neighbours. Driveway big enough for 2 cars. Arcades and entertainment complex only 5 mins walk from van, and also the cliffs and beach with beautiful views. Husband and my friends partner took advantage of the fishing lake although they found the best times to use it was up to 9am in the morning or anytime from 5pm due to people using the lake with pedeloes and kayaks. Only downside was the weather. Would recommend to any one. Thank you for allowing us to use your home. Our first impression of the caravan was how clean and tidy it was. Having a private driveway was a bonus. The beds were already made ready to snuggle into. A welcome pack of tea and coffee was much appreciated after a long journey. Sitting on the veranda in the morning was lovely to relax and read a magazine etc. The caravan felt like home from home with the extra touches included like dishwasher, washing machine, tea towel, toilet rolls, and airer to dry clothes after swimming etc. Having two toilets was very handy - no queue. There was plenty for the children to explore and ladders enjoy. The entertainment was excellent and the children could play in the arcade too. I would highly recommend a holiday here. 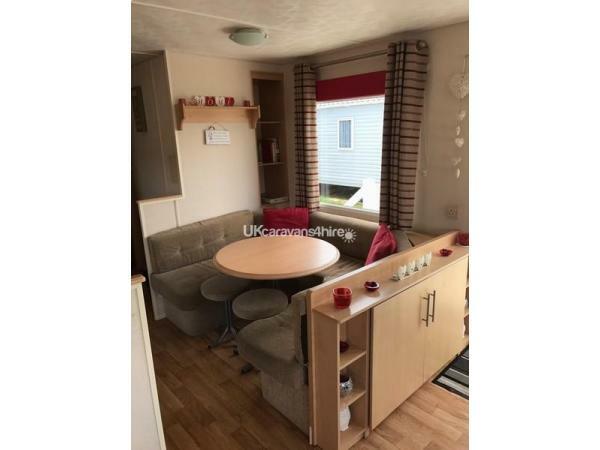 A fantastic caravan on a quieter area of a large site with plenty to do for all ages. Kids loved the pools, arcade and fair. Pedalos at lakeside also a big hit. Weather was good so enjoyed sitting out on balcony in afternoon with a nice cold glass of something and the added bonus of being able to see the sea. Would thoroughly recommend this caravan and park although please let me make sure I get my booking first as guaranteed to return.